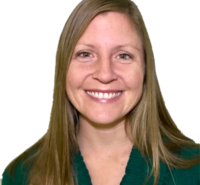 Dr. Mahoney is an Assistant Professor in the Applied Behavior Analysis program with the Online Campus. She earned her Ph.D. in Psychology from Western Michigan University in 2012. Dr. Mahoney has nine years of experience working with children with disabilities in residential and public school settings and spent nearly four years working with an East African nonprofit training rats in scent detection tasks. Dr. Mahoney is passionate about behavior analytic research and dissemination. She has published and presented work in a variety of areas including treatment of problem behavior, verbal behavior, organizational behavior management, and animal training. She is Associate Editor of Behavior Analysis: Research and Practice, an APA-published journal. Current areas of interest include stimulus categorization and equivalence, translational research, choice, applied animal behavior, and behavior change of groups and societies. Poling, A., Austin, J. L., Peterson, S. M., Mahoney, A., & Weeden, M. (2012). Ethical issues and considerations. In J. L. Matson (Ed.) Functional assessment for challenging behaviorsNew York: Springer. Li, A., Mahoney, A., & Poling, A. (2018). Basic research in behavior analysis. Behavior Analysis: Research and Practice, 18 , 117-118. Mahoney, A. (2017). A comparison of escalating versus fixed reinforcement schedules on undergraduate quiz taking. Journal of Behavioral Education, 27 , 1-13. LaLonde, K., Mahoney, A., Edwards, T., Cox, C., Weetjens, B., Durgin, A., & Poling, A. (2015). Training pouched rats to find people. Journal of Applied Behavior Analysis, 48 , 1-10. Mahoney, A., Edwards, T., Lalonde, K., Cox, C., Weetjens, B., Poling, A. (2014). Landmine-detection rats: An evaluation of reinforcement procedures under simulated operational conditions. Journal of the Experimental Analysis of Behavior, 101 , 450-456. Durgin, A., Mahoney, A., Cox, C., Weetjens, B., Poling, A. (2014). Using task clarification to improve staff performance in an East African nongovernmental organization. Journal of Organizational Behavior Management, 34 , 122-143. Walmsley, C., Mahoney, A., Durgin, A., Poling, A. (2013). Improving hygiene within a special needs young adult program. Research in Developmental Disabilities, 34 , 95-101. Esch, J., Mahoney, A., Lalonde, K., Kestner, K., Esch, B. (2013). Echoic and self-echoic responses in typically-developing children.. The Analysis of Verbal Behavior, 29 , 51-53. Mahoney, A., Weetjens, B., Cox, C., Jubitana, M., Kazwala, R., Mfinanga, G. S., Durgin, A., Poling, A. (2012). Giant African pouched rats as detectors of tuberculosis in human sputum: Comparison of two techniques for sputum presentation. The Psychological Record, 63 , 583-594. Mahoney, A. M., Poling, A. (2011). Sexual abuse prevention for people with severe developmental disabilities. Journal of Developmental and Physical Disabilities, 23 , 369-376. Mahoney, A. M., Miguel, C. M., Ahearn, B. A., Bell, J. (2011). The role of common motor responses in categorization by preschool children. Journal of the Experimental Analysis of Behavior, 95 , 237-262. Weeden, M., Mahoney, A., Poling, A. (2010). Self-injurious behavior and functional analysis: where are the descriptions of participant protections?. Research in Developmental Disabilities, 31 , 299-303. Moher, C.M., Gould, D.D., Hegg, E.M., and Mahoney, A.M. (2008). Non-generalized and generalized conditioned reinforcers: establishment and validation. Behavioral Interventions, 23 , 13-38.